1) We would want Him to come to one of the world’s greatest cities (New York, Beijing, Paris, London). Christ came to Bethlehem, a small village sparsely populated. 2) We would want Him to come to some world famous edifice or some amazing palace. We would want Him to have the nicest accommodations. Christ was born in a stable and laid in an animal feeding trough. 3) We would want the world’s most important people to be present when He comes to earth (all the heads of state, Presidents, Prime Ministers, Kings). Christ was welcomed by common folk, humble shepherds. 4) We would want the whole world to know about it. We would want the event to be covered by all the major media outlets (CNN, Fox News, all the major networks). Christ’s coming was unnoticed by the vast majority of people. 5) We would want to see God in all His power and glory, to see what He could do and how great He is. 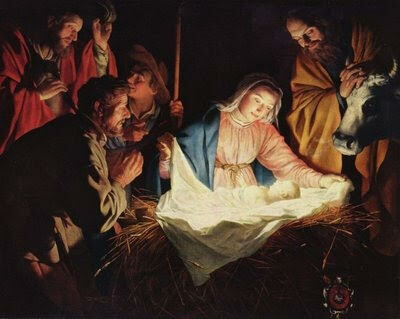 Christ entered the world as a dependent Babe, not putting His power and glory on display outwardly. Yes, God’s marvelous plan for His Son’s entrance into the world came about, not by the cunning schemes of man, but by the infinite wisdom of the God who knows exactly what this world needs. "For ye know the grace of our Lord Jesus Christ, that, though He was rich, yet for your sakes He became poor, that ye through His poverty might be rich" (2 Cor. 8:9). So also Christ’s great unveiling at His second coming will unfold, not as men would want it, but in accord with the Father’s perfect plan. "How should a King come? And the angels cried "glory glory to God". Earth was silent so heaven rang!